This refers to the US artefact statuses in Sage One. The balance of the Bank Account. The sort_code of the Bank Account. The nominal_code of the Bank Account. The telephone of the Bank Account. The email of the Bank Account. The main address of the Bank Account. The country of the main address. The Bank Account user nominal code. The timestamp when the Contact was deleted. The timestamp when the Contact was created. The timestamp when the Contact was updated. Contact's business name (maximum of 50 characters). Contact's name (maximum of 50 characters). Contact's phone number (maximum of 50 characters). Contact's mobile number (maximum of 50 characters). Contact's email address (maximum of 100 characters). First line of main address (maximum of 50 characters). Second line of main address (maximum of 50 characters). City of main address (maximum of 50 characters). State or Province of main address (maximum of 50 characters). Zip Code or postal code of main address (maximum of 10 characters). Country ID of main address. First line of delivery address (maximum of 50 characters). Second line of delivery address (maximum of 50 characters). City of delivery address (maximum of 50 characters). State or Province of delivery address (maximum of 50 characters). Zip Code or postal code of delivery address (maximum of 10 characters). Country ID of delivery address. Any notes for the contact record (maximum of 500 characters). The ID of the tax rate associated with this contact. The URL for this Expense Type (Using the Ledger Account Type ID). The category of the Expense transaction. The date of the Expense transaction. The timestamp when the expense was deleted. The timestamp when the expense was created. The timestamp when the expense was updated. The ID of the contact who paid the expense. The name of the contact who paid the expense. The reference of the Expense transaction. The bank account which the Expense transaction is paid from. The tax rate associate with the Expense transaction. The vat value of the Expense transaction. The total amount of the Expense transaction. The gross total of the Expense transaction. The description for this Expense transaction. Whether this expense has multiple line items. -d "expense[description]=Skate sharpening for Ice Hockey"
The URL for this Income type (Using the Ledger Account Type ID). The timestamp when the Income transaction was created. The timestamp when the Income transaction was updated. The tax rate associated with this Income transaction. The vat value of the Income transaction. The description for this Income transaction. Whether this income has multiple line items. -d "income[description]=Skate sharpening for Ice Hockey"
The cost price of the product. Any notes associated with the product. The product description (maximum of 255 characters). The ID of the purchase invoice associated with the credit. The purchase credit note date, in the format yyyy-mm-dd. If not set, it defaults to today's date. The reference of the purchase credit note. The line items for the purchase credit note. The ledger account/category of the line item. The tax rate percentage on the line item (must be between 0 and 100). Note: Purchase Invoices and payments are visible to Sage One Accounting Standard users only. 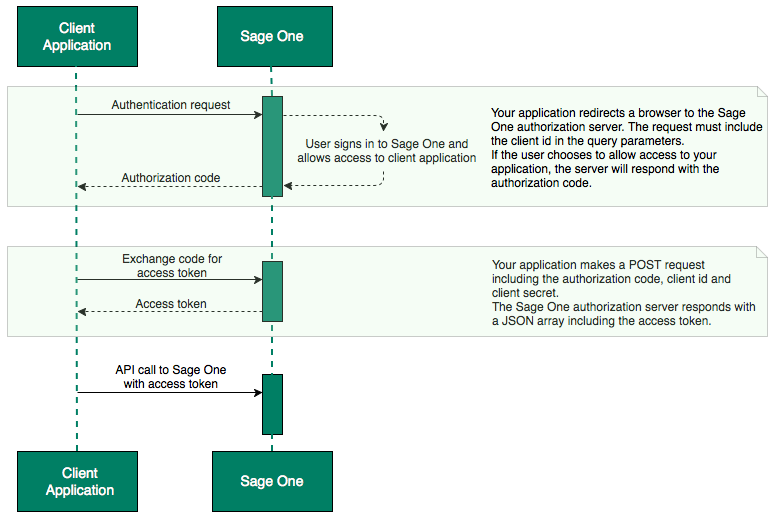 Sage One Invoicing users will not be able to view transactions you create using this resource. The name of the contact associated with the purchase invoice. The payment due date of the purchase invoice, in the format YYYY-MM-DD. The reason the purchase invoice is void. The notes of the Purchase Invoice. The line items for the Purchase Invoice. The number of units for the line item. The ID of the project to be associated with the purchase invoice. 0 or 1; required for DELETE line item, set to 1; otherwise the attribute is default to 0. The name of the contact associated with the invoice. The invoice date, in the format yyyy-mm-dd. If not set, it defaults to today's date. The timestamp when the invoice was created. The timestamp when the invoice was updated. The sales invoice void reason. The sales invoice outstanding amount. The sales invoice total net amount. The sales invoice total tax amount. The ID of the task associated with the line item. The discount percentage on the line item (must be between 0 and 100). Payment amount. (must be greater than 0 and less than or equal to the outstanding amount). As well as sData format this endpoint can return a PDF file response by setting the HTTP Accept header to 'application/pdf'. Get a sales invoice with the given ID including the outstanding amount. The response is a PDF document. Set to 1 if the invoice can be paid online (provided that either SPS or PayPal has been set up). The tax profile of the invoice if it is used. The product code associated with the line item (maximum of 255 characters). Set to 1 if the line item is taxable. The discount percentage on the line item (between 0 to 100). The ID of the line item; required for UPDATE and DELETE line item. The description of the line item (maximum of 200 characters); required for CREATE line item (when line item ID isn't specified). The number of units on the line item (maximum value of 99999999); required for CREATE line item (when line item ID isn't specified). The unit cost of the line item (maximum value of 99999999); required for CREATE line item (when line item ID isn't specified). The discount percentage on the line item (between 0 to 100); required for CREATE line item (when line item ID isn't specified). Delete the specified sales invoice. Update the specified sales invoice payment. The amount of the payment (maximum value of 99999999). Payment amount must be greater than 0 and less than or equal to the outstanding amount. The payment method. Available payment methods for Sales Invoice Payments are: 'Bank Receipt', 'Cash Receipt', and 'Check in Hand'. The bank account to which the payment is made; default to Checking Account if not provided. Must use a bank account with account_type 'CASH_IN_HAND' if payment method is 'Cash Receipt'. The category in which the payment is made. The reference of the payment (maximum of 255 characters). This refers to the business's sales invoices summary in Sage One. This resource provides a look up of the business's sales invoices summary stats in Sage One. Responds with the sales invoices summary stats of the business. The payment status of the sales quote. The sales quote creation date. The sales quote good until date. The sales quote void reason. The sales quote outstanding amount. The sales quote total net amount. The sales quote total tax amount. Whether the delivery address is the same as main address. The sales quote line items. The percentage of the tax rate (must be between 0 and 100). Creates a new Sales Quote. The main address of the contact (maximum of 500 characters).